We left Bulgaria and entered Romania on another overnight train, another night with border guards. In the last two days my parents have visited three countries on one night's sleep. They look pale and ready for rest so we checked into a luxurious one-star hotel. In this case luxurious means private bathroom, no air-conditioning. 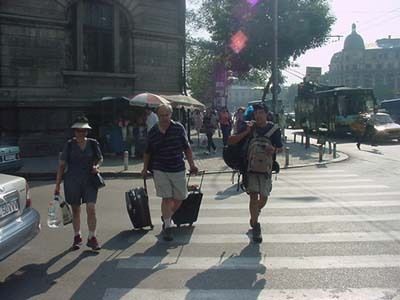 Ed, our intrepid Peace Corps volunteer, meets us in Bucharest. He's here to help underprivileged kids get food and education. To our eyes Romania has it all - Peace Corps and Pizza Hut. Down the metro and over the curb, to a cheap hotel we go. 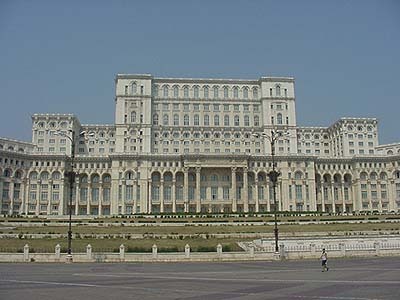 The People's Palace in Bucharest, the second largest building in the world (after the Pentagon). 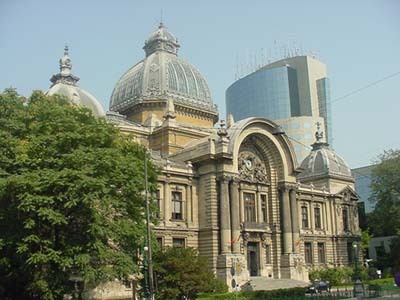 What is the oldest building in Bucharest? 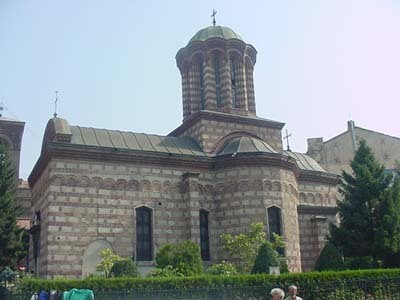 An Orthodox church. Old and new in Bucharest.